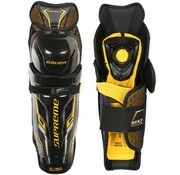 The Bauer Supreme TotalONE MX3 Hockey Shin Guards are the flagship model in the Supreme lineup with a lot to show for it. 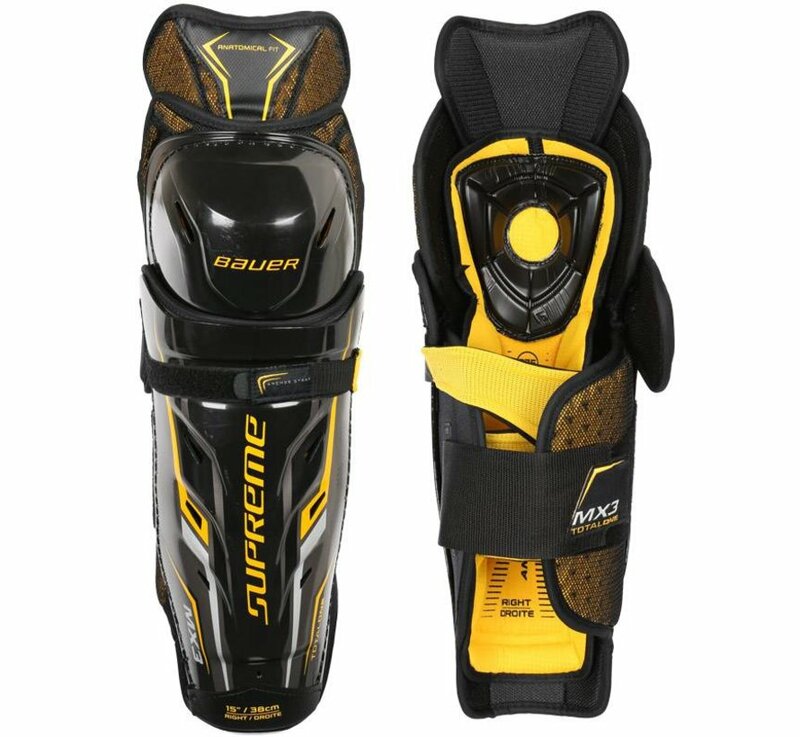 Bauer culminated their very best technologies and placed them in the MX3 to create one of the most protective shin guards on the market to date. Their newest additions from the NXG is the FleXorb technology and 37.5™ technology in the liner. 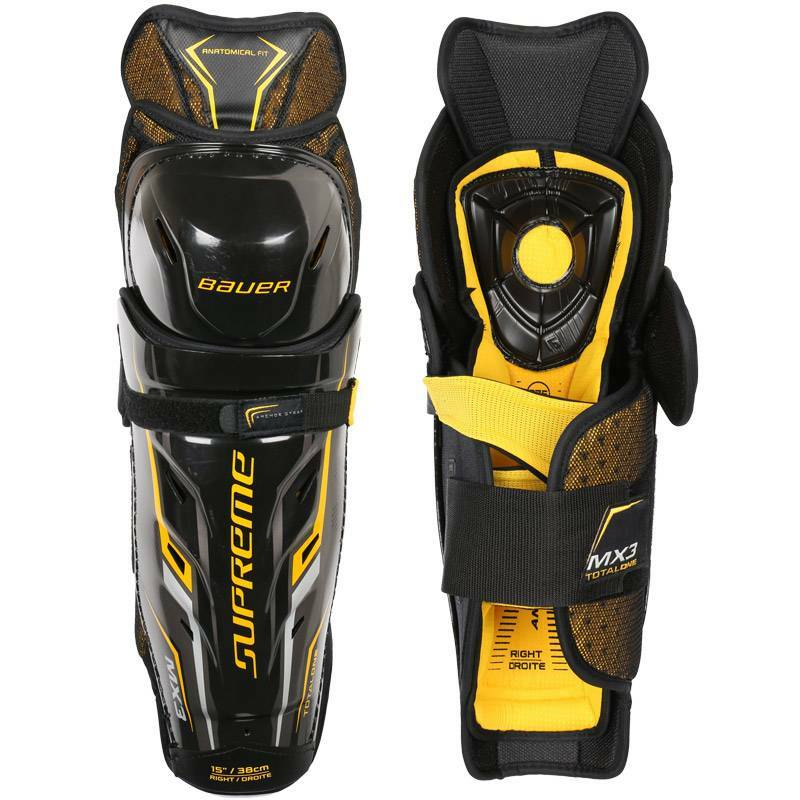 When Bauer created this shin guard, they were looking to provide players with exceptional performance that wouldn't disappoint. 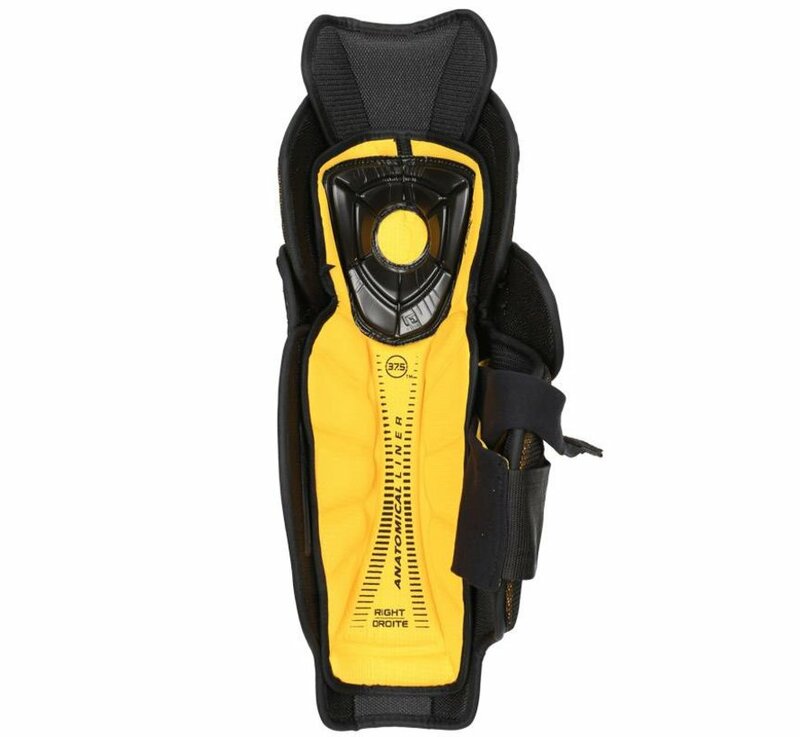 Bauer introduced FleXorb technology into the knee sling for professional level protection. FleXorb utilizes Poron XRD™ foam which one of the most protective materials in the hockey industry, absorbing 90% of all impact energies. 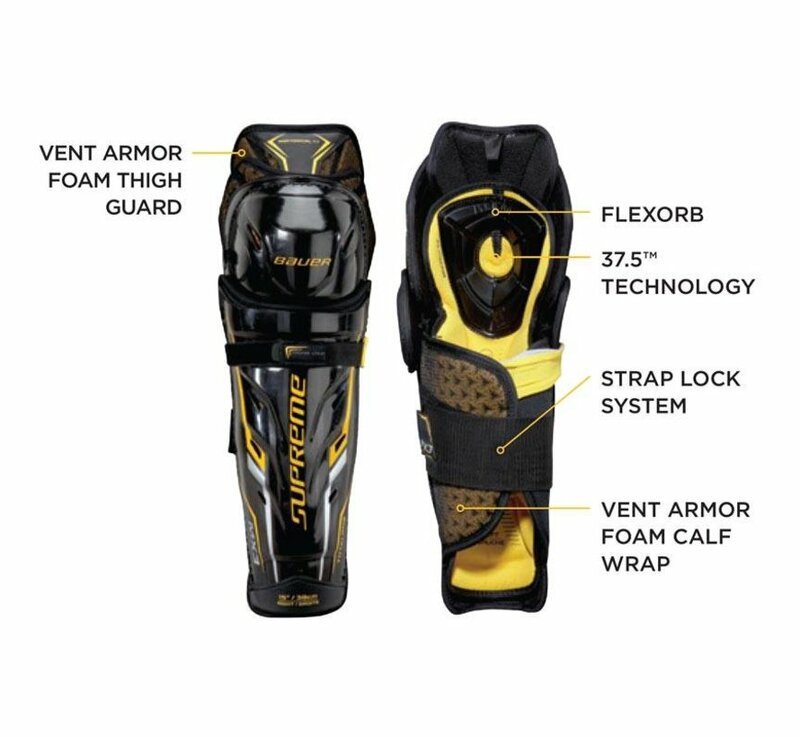 The benefits of having FleXorb is that it provides a better wrap around around your knee so the protection sticks with you when your skating. 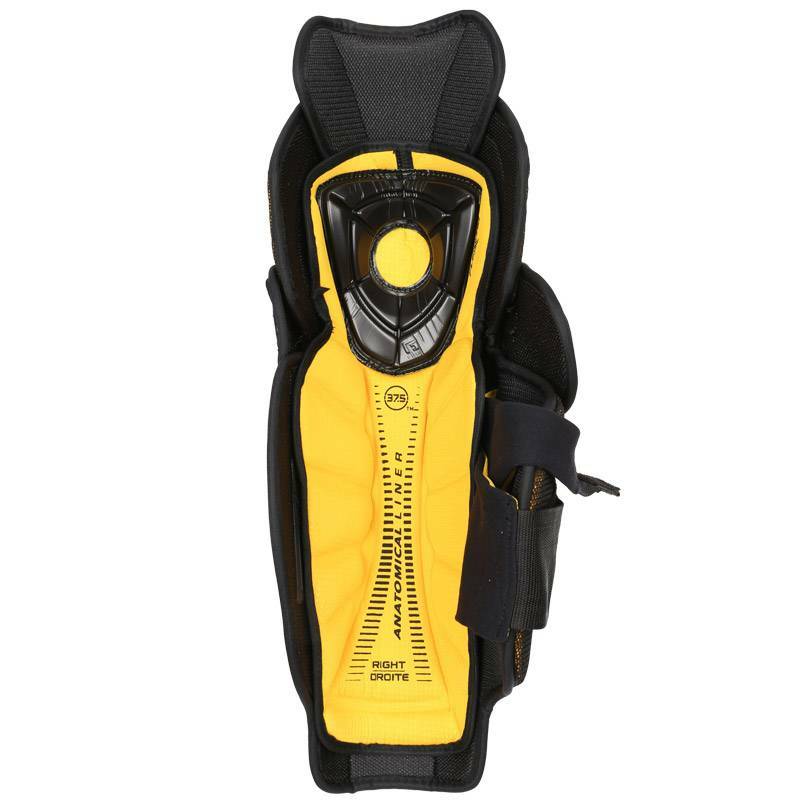 Bauer also included their newly designed Vent Armor in the calf wrap, knee wings and thigh guard for elite lightweight protection. Bauer also added 37.5™ technology into the liner which utilizes your body heat to evaporate moisture from the surrounding fabric, resulting in a drying time five times faster than other similar fabrics. 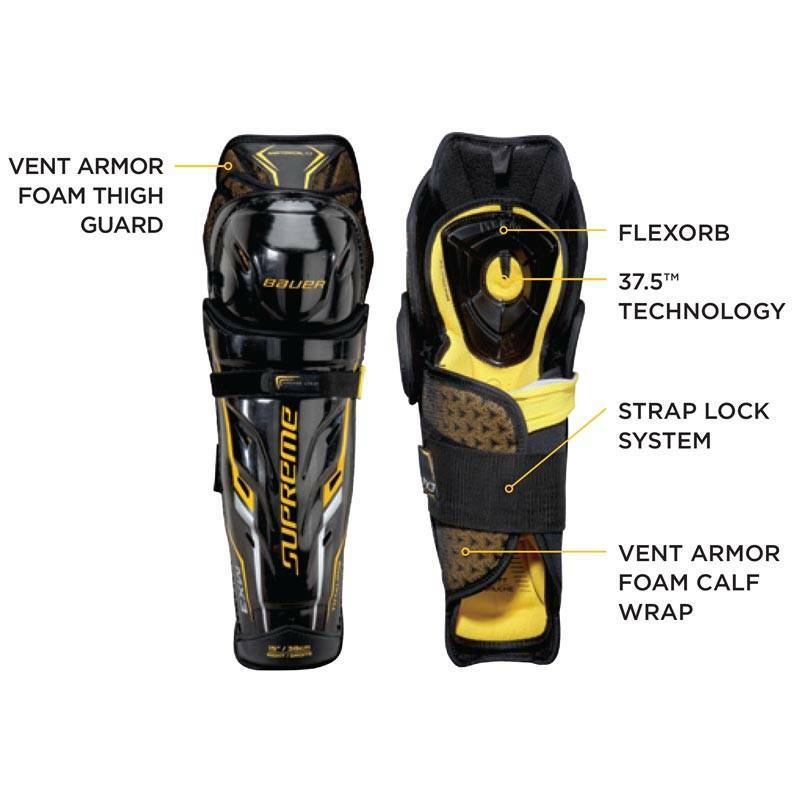 37.5™ also releases the heat between your skin and the liner and has an anti-odor feature that rejuvenates each time you wash it so your shin guards are always stink-free.